A decade years back Augmented Reality (AR) and Virtual Reality(VR) were things out of science fiction, technology that was unaffordable and inaccessible. That lasted ‘till, the device revolution and the technological upgrade wave hit all the industries and subsequently made it cheaper and affordable. Stats indicate that, “AR (mobile AR, smartglasses) could approach three and a half billion installed base and $85 billion to $90 billion revenue within 5 years. At the same time, VR (mobile, standalone, console, PC) might deliver 50 to 60 million installed base and $10 billion to $15 billion.” AR and VR are now technology that can be easily available and hence can be utilized for eLearning too, without majorly increasing the budget. We have already touched base upon use of VR in learning, the things to be wary about, and its role in safety training too. But, then what is AR and how does it differ from VR? Augmented reality according to Wikipedia is, “an interactive experience of a real-world environment whereby the objects that reside in the real-world are “augmented” by computer-generated perceptual information, sometimes across multiple sensory modalities, including visual, auditory, haptic, somatosensory, and olfactory.” Pokémon Go, is a popular game that utilized the power of AR and it sure provided greatly influenced eLearning too. Simply put, a virtual image, 3D model, video etc. pops up when you point at certain objects linked to AR technology. AR blends real-life objects with virtual objects, VR on the other hand takes you to a virtual world using a device/screen/headgear as a portal. Oculus Go, Samsung Gear VR, Google Daydream View are the popular names in VR space. While after Pokémon Go, BBC’s Civilizations AR, Google Lens, Just a Line etc. are the popular AR apps available on Google Play and the App Store. While AR and VR are different technology the use of either or both combined can greatly improve safety training and reduce the risks. While learning in a virtual environment gives the option of experimentation, it also cuts down the damages that can be caused during training in a real environment. Human errors in the safety industry can be life threatening and this makes training a critical aspect. 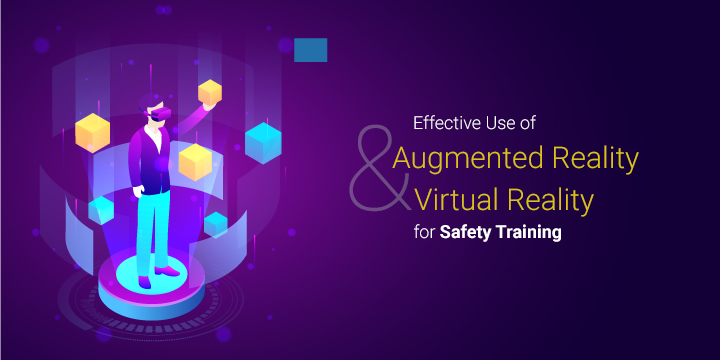 With the flexibility and possibilities that AR and VR bring along, safety training can be greatly improved and become more effective. So, how can AR and VR be put to best use? Preparation before getting to high-risk environment requires a clear understanding about the geography, structure and the possible dangers too, however carrying large devices to the field may not be an option. Learning access on mobile devices becomes a necessity here. While using VR in Mobile Learning can allow learners to have a real-life like experience, AR apps and 3D animations can deliver additional insights, possible simulations based on actual location or even for maintenance and repair on dangerous sites. 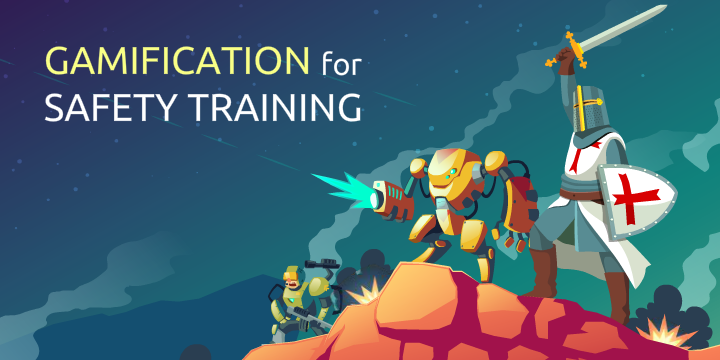 While a sub-set of mobile learning itself, microlearning is quite important for reinforcement of safety training, or quick on-the-job-training. Safety professionals can search for quick refreshers on skills before performing the tasks. Moreover, microlearning can be used to provide the learners instant access to important information about safety, maintenance procedures, equipment operation, common errors, engineering, building designs and precautions during safety maneuvers etc. Microlearning using AR and VR allows learners to undertake more effective just-in-time, on-the-site training and hence greatly improve performance, improve risk awareness and greatly reduce on-the-job accidents and subsequent damages. VR-based simulations can effectively be used to replicate real-life situations wherein training is impossible, safe for instance safety measures during natural disasters of life threatening incidents in industries. AR can be clubbed to act as triggers, geographical markers for these VR simulations. In addition, AR and VR can provide the safety workers hands on experience, for practicing things like tying the perfect knot for rescue, to emergency response during rescue, using safety equipment and more, over and over until the required speed and accuracy is achieved. 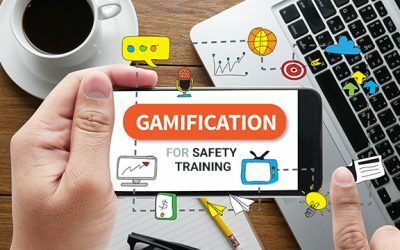 In addition, AR and VR in serious games or as Gamified solution can also act as good training medium (read about gamification for safety training here and also about the use of Animated Videos for Safety Training). The Honeywell Connected Plant Skills Insight Immersive Competency, is a great example of using AR and VR for training. Another example, is its application for training in multiple operational activities on the factory floor. 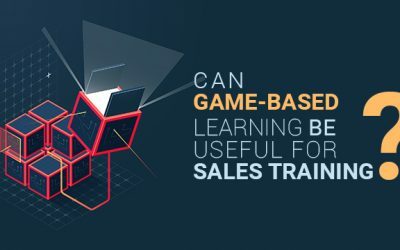 Have you used AR or VR for training yet? Share your thoughts about the utilization of these technologies. We would like to hear from you.